Visit the up to date african art auction list in the African Art Club. Skinner, Inc., one of the nation's leading auction houses for antiques and fine art, will host an auction of American Indian and Ethnographic Art on Sunday, September 23, 2007 at 10:00 a.m. in its Skinner Boston gallery. Benin head from the auction at Sotheby's in New York on May 17, 2007 SALE N08320 estimated between $1 million and $1.5 million sold for 4,744,000 € ! 50th Tribal Art Auction Zemanek will be on May 12, 2007 in Würzburg. 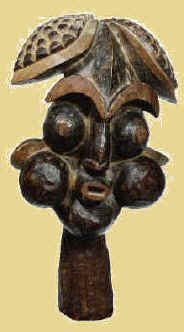 we will offer a fine selection of African and Oceanic Tribal Art from private collections. 4 décembre 2006 S.V.V. Fraysse & Associés Hôtel des Ventes de Niort. Hôtel des Ventes de Niort. Vente à Drouot Richelieu le 4 décembre 2006. I spotted the small Suppan auction in Vienna, Austria with some fine African Art pieces last month on May 20 2006. I spotted the small Suppan auction in Vienna, Austria, but wasn't lucky..
La création d'une collection ! For those who wants an in-depth view about one of the creators of African Art Anthropology. www.diamondsnews.com all about diamonds ?? hot business real news time for fun ! Christies preview, 7 June 2005.
a response to Sotheby's part1 by Lee Rubinstein from the December newsletter. - Zemanek is an auction room in Germany specialized in Tribal auctions. 4 sales a year. - Serge Reynes Origine Art Tribal 10 auctions a year in France. - Artcurial Paris France expert Tribal arts : Bernard de Grunne. - AAOARTS Cabinet DAFFOS-ESTOURNEL 91, rue du faubourg Saint-Honoré, 75008 PARIS Tél. : 06 09 22 55 13 - Fax : 01 39 12 14 47 www.aaoarts.com avec aussi une galerie située au 20, allée Desmalter (1° étage) Louvre des Antiquaires 2, place du Palais Royal. 75001 Paris. For the last news about African Art Auction News you should join our African Art Club and become an insider of the African art market.